Our Grave Finder Service has helped well over 100 people from the UK and overseas to locate their ancestors’ graves and burial details. These have included one person from Italy, one from Canada and several from Australia. Some of the latter group have visited Hyde Park Cemetery subsequently. 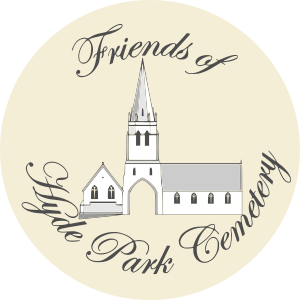 In the past few days, we have been dealing with an enquiry from a Florida resident, all of whose grandparents are buried at Hyde Park. Please visit our Grave Finder Service webpage if you would like to find your ancestors.